A name that is synonymous with the Netherlands and their concept of Total Football, Ajax Amsterdam has been one of the pioneers in changing the style of football. The first club that comes to our mind on mention of the Eredivisie, Ajax is one of the most successful clubs in the country with 33 league titles and 18 KNVB cups in the domestic circuit and are one of the 22 clubs that have been able to win the coveted Champions League trophy. The Dutch giants sit 6th on the list of clubs with the most number of Champions League trophies with 6. The Dutch giants though have somehow fallen way off the top from the bracket of the biggest teams in Europe to another team that qualifies to the knockout stages of the Champions League. This year though has seen some sparks returning back to the Ajax stable. With a youthful team comprising of much sought out talents like Onana, Van de Beek, Frankie de Jong, Kasper Dolberg, Hakim Ziyech and the rest, Ajax looked destined to bring back their glory days if they are able to keep most of their stars. Here we take a look at the 10 best academy products produced by Ajax in the last decade. A case of what could have been if not the injuries that ravaged the central defender, Thomas Vermaelen has had an impressive yet injury-ravaged career so far that has seen the Belgian international playing for the likes of Arsenal, Barcelona and AS Roma after moving away from Ajax. Thomas Vermaelen joined the Ajax Academy in 2000 at the age of 15 and made his professional debut for the Dutch giants in 2003. The central defender spent 5 seasons with Ajax and even served as the captain of the team since the departure of Klass Jean Huntelaar before making his own move away from the club to Arsenal in 2009. Remembered for his defensive partnership with John Heitinga and later Jan Vertonghen, the Belgian won the Eredivisie once, KNVB Cup twice and the Johan Cruyff Shield twice. The career away from Ajax saw the Belgian starting his injury problems. The first few seasons at Arsenal were his best as injury were far less for the Belgian the later years saw the defender missing a total of 88 matches during his 5-year stay in London. The Belgian was named captain after the departure of Robin Van Persie and won a FA Cup during his time in London before moving to Barcelona in 2014. 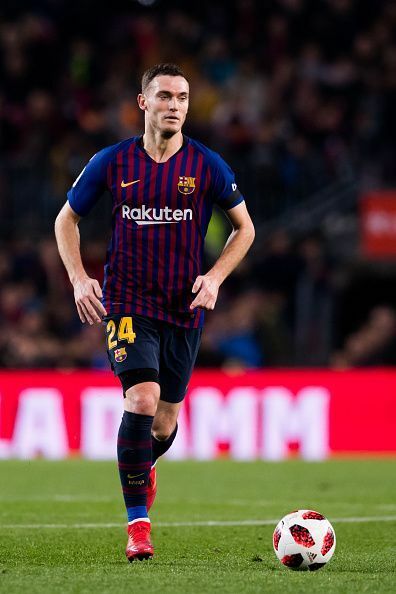 It was in Barcelona that the defender had his most injuries with Vermaelen missing 104 matches in his Barcelona career with an additional 17 during his loan spell at AS Roma. The defender who still plies his trade in Barcelona has had a trophy-laden career with the Blaugrana with the Belgian winning 3 La Liga, 2 Copa del Rey, 1 Supercoppa, 1 Champions League, 1 Club World Cup, and 1 UEFA Super Cup.